Mobile-friendly site focusing on providing information to clients & being found better in search engines. 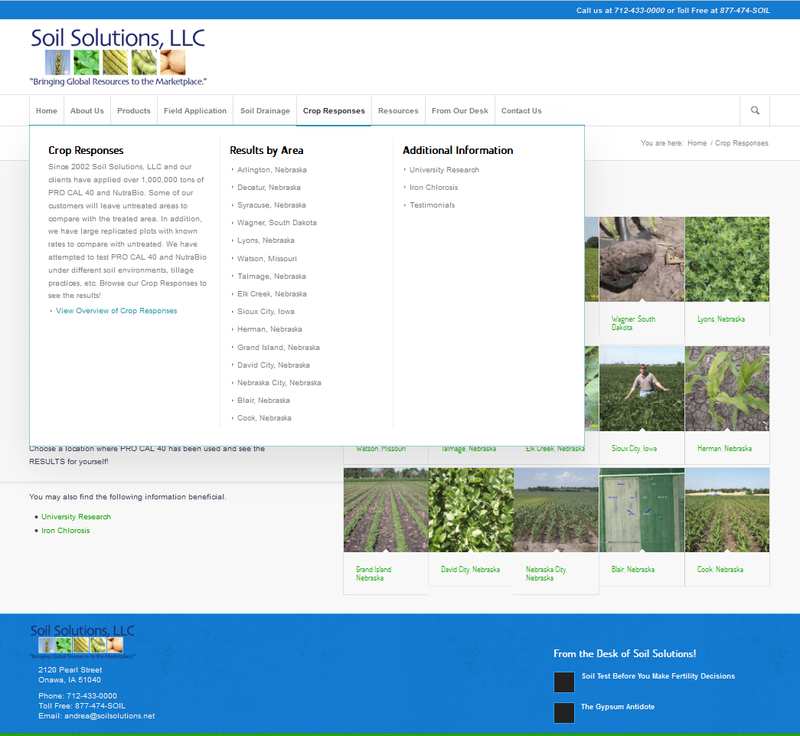 Soil Solutions, LLC was a website that existed before, but they wanted to expand and have an updated look, get better results in search engines, and update some of the site themselves. Heartland Internet Solutions worked with them to take the content they already had and move it into a newly designed site. We then created their admin area to allow them to “blog”. By Blogging they are creating more content for the search engines and in turn may be found better. We also incorporated mega menus so that users can read what is within the area they are thinking about going, and we worked closely with their email host to make sure when everything was transferred over to us for their website that their emails would not go down or “break”. Heartland Internet Solutions also hosts an additional domain name for them to ensure that it doesn’t get picked up by a competitor. Thank you Bob for allowing Heartland Internet Solutions to be your website provider!